1910: The Fabre Hydravion flies. Henri Fabre was born in 1882 in Marseille, France. His family were shipowners in the city which afforded him an education at the Jesuit College of Marseilles where he studied the sciences. With the advent of flight, he turned his attention to airplanes with particular attention to propeller design. His fascination with flight led him to experiment and he patented a system of flotation devices which allowed him to be the first to built, fly, and survive seaplane flight. On this day he made four consecutive flights (his first four flights ever), the longest one about a third of mile. Hydravion is French for seaplane or floatplane and Fabre worked on the design for four years. He was helped by Marius Burdin, a mechanic, and Leon Sebille, a naval architect. The craft the men developed was unnamed, but the English press and popular nomenclature bestowed the name “Hydravion” on it. The monoplane used Fabre’s patented beam design based on several components already in use but configured specially for taking off from the water. The plane was equipped with three large floats to keep it from sinking. While the day’s longest flight was less than a mile, within a week the distance had grown considerably to 3.5 miles. The seaplane was a dream of many pioneering aviators and soon others were building their own planes, some using Fabre floats. Soon after her maiden flight, the Hydravion was damaged. The plane was repaired and on April 12, 1911 Jean Becue was flying it at the conours de Canots Automobiles de Monaco and crashed. The plane was damaged beyond repair and no other Hydravions were ever built. The plane is displayed today at the Musee de l’Air in Paris. Fabre himself preferred sailing and as late as 1971 could still be found sailing alone in the Marseille harbor. He died in 1984 at the age of 101. Seaplanes remain a minor part of the aviation industry. Post-World War II building of airports made them less necessary but they have held onto some niche uses. They are divided into two categories, floatplanes and flying boats. Floatplanes have pontoons while flying boats rely on buoyancy in the fuselage. A seaplane can both take off from and land on water (and only on water) but some modern modifications have made floats retractable, allowing them to also take off and land away from water. They have come a long way from Fabre’s model, the first seaplane to take off and land on the water under its own power. March 28, 1566: The cornerstone of the city of Valletta is laid. It is the capital of Malta, a small island nation in the Mediterranean Sea just south of Sicily, east of Tunisia, and north of Libya. Malta covers just 122 square miles and has a population of about 416,000 making one of the world’s smallest yet most densely populated countries. The capital city of Valletta covers just 0.3 square miles and has a population of almost 7,000. It is colloquially called Il-Belt (The City) in Maltese. The Order of the Knights of Saint John, also called the Knights Hospitaller, were among the most famous of the Roman Catholic military orders in the Middle Ages. They arrived on Malta in 1530 and found the only building, a small watchtower dedicated to Erasmus of Formia (Saint Elmo). In 1552, they demolished the tower and built Fort Saint Elmo on the site. During the Great Siege of 1565, the fort fell to the Turks, but the Knights eventually won the siege with the help of the Spaniards who sent reinforcements. The victorious Grandmaster, Jean de Valette, immediately set out to build a new fortified city. This would help secure their position as well as tie the Knights to the island. The city would be named for him. He asked European kings and princes for help. Since the Order became famous for this victory, help was forthcoming. Pope Pius V sent military architect, Francesco Laparelli, to design the new city while Phillip II of Spain sent money. De Valette himself laid the foundation stone on this date. De Valette died on August 21, 1568 from a stroke. He was 74 and did not live to see his city completed. He is buried in St. John’s Co-Cathedral with other Grand Masters of the Knights of Malta. Unlike most Middle Ages city plans, Laparelli built Valletta using a rectangular grid plan, without the winding twisting streets and without a restricted area for important buildings. The streets were wide and straight and began centrally from the City Gate and ended at Fort Saint Elmo. When he died in 1570, Girolamo Cassar finished construction and the city became the capital of Malta in 1571 with the Grandmaster moving into the Grandmaster’s Palace. Today, Valetta remains the capital and houses the Offices of the President and Prime Minister as well as the parliament, the courthouse, and other government buildings. Alexiei Dingli is the Mayor of the city while Marie Louise Coleiro Preca is President and Joseph Muscat is Prime Minister of the country. The city lies on a peninsula of the island and has two natural harbors. The climate is mild. Valletta has been designated European Capital of Culture for 2018, an honor bestowed to various cities in Europe for one calendar year where the city organizes a series of cultural events. Like Mardi Gras in New Orleans, the city hosts the Maltese Carnival each year in February, leading up to Lent. 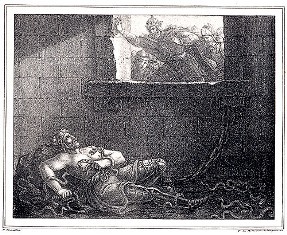 Also on this day: Ragnar, the Viking – In 845, Ragnar sacked Paris. Tornado Outbreak – In 1920, a series of devastating tornadoes swept the US. Three Mile Island – In 1979, a partial nuclear meltdown began in Pennsylvania. He Changed the Way We Live – In 1897, Victor Mills was born. Majestic Theatre – In 1927, the theater opened in New York City. March 28, 1927: The Majestic Theatre opens in New York City. The theater is located at 245 West 44th Street in Manhattan and is one of the largest Broadway theaters with 1,645 seats available. It is the traditional venue for major musical productions including Carousel, South Pacific, The Music Man, Camelot, A Little Night Music, and The Wiz. Majestic Theatre was the second home of 42nd Street and the third home for 1776. It has been the home of The Phantom of the Opera since it opened on January 26, 1988 with a record breaking performance run of over 10,000 performances. This is the longest running production in Broadway history. The theater opened with Rufus LeMaire’s Affairs. The theater was designed by architect Herbert J. Krapp and built by the Chanin Brothers. Krapp was born in 1887 in New York City. He apprenticed with Herts & Tallent where he was involved in some big name projects. He left the firm in 1915 and began working directly for the Shubert brothers. He would eventually become their primary architect. He also worked for the Chanin brothers, notably when building this theater. He was known for his ability to use the entirety of the space available. In the Majestic, he used stadium seating for the orchestra level and created better sightlines as well as making it possible to have larger lounge and lobby areas. The Great Depression hit and building boom ceased. The Chanin brothers sold their theater to the Shubert brothers, today called the Shubert Organization. The Shuberts were responsible for the establishment of the Broadway district as the center for live theater in the US. The family emigrated from the Russian Empire to New York. The parents and seven children first settled in Syracuse. The sons broke the theater management monopoly and began their own theater production company. They acquired and then built many new theaters. By 1924 they had 86 theaters in the US alone and by the end of the decade they owned, operated, managed or booked over 1,000 theaters nationwide. In 1973, the company reorganized and as of 2008 they owned or operated 17 Broadway theaters as well as others off Broadway and outside New York City. Many of the theaters formerly owned or operated by the Shuberts are still known by their old family name, even though they have been sold off. The Majestic is still under their care and they are still running The Phantom. The musical has topped its own previous record. The week ending January 2, 2011 had gross receipts of $1,390,530.53. However, the week ending December 29, 2013 topped it. The nine performances that week had gross receipts of $1,843,296. March 28, 1920: Palm Sunday’s dawn broke with the beginning of a series of shattering storms and within nine hours, eight states were pummeled by 38 significant tornadoes. Early in the morning, severe thunderstorms began to develop in Missouri. The storm cell moved rapidly in a northeasterly direction. The first tornado struck southeast of Springfield, Missouri in the pre-dawn hours and left five injured. While there were 38 documented tornadoes during the day, there is a very high likelihood that there were far more smaller tornadoes that were never reported. At the time, aerial surveillance searching for damages was not available to the National Weather Service. Few states in the US “Tornado Alley,” central states that see the most tornado activity, kept accurate records. In most states and certainly at a national level, record keeping was sporadic at best. There was no uniformity for data storage across the country. While the Perfect Storm was brewing, in 1920 there was no forecasting equipment such as Doppler radar, no mass communication network such as television and radio was spotty, and there was no Severe Storm Warning system in place. Weather prediction came from vague information in the daily newspapers of the previous day. The word “tornado” was actually banned because it might cause fear and panic. All the local meteorologists were expecting was rain showers with possible thunderstorms. Tornadoes are measured using the Fujita scale (F-scale) with F0 being a weak storm and the extremely rare (0.1%) F5 being the strongest. Two-thirds of all tornadoes are F0 or F1. There were none of these weaker storms reported that day. An F2 storm has winds up to 157 mph and causes “considerable damage.” There were 14 reported. F3 storms have winds up to 206 mph and cause “severe damage.” There were 11 F3 storms. Only 1.1% of tornadoes reach F4 class causing “devastating damage” with winds up to 260 mph and yet there were 13 of them that day. Over 380 people were killed and 1,215 were injured in these combined storms. This article first appeared at Examiner.com in 2010. Editor’s update: The National Weather Service (NWS) is a part of the federal government of the US. It was formed in 1870. Both houses of Congress passed the formation of the agency and it was signed into being by Ulysses S. Grant. It was, at its inception, for military strategy and not for civilian issues. However, that changed in 1890 when it became part of the Department of Agriculture. Later, in 1940, it came under the Department of Commerce. In 1966 when the Environmental Science Services Administration was formed, it moved there and finally in 1970 it came under the National Oceanic and Atmospheric Administration. The weather over land and sea is monitored and a number of warnings and watches are in place to help warn us of impending storms. March 28, 1897: American chemical engineer, Victor Mills, is born. This man has changed our lives in so many ways. Mills really wanted to be a civil engineer and longed to build bridges. He served in the Navy in World War I and after the war he was encouraged to enter the new field of chemical engineering. He enrolled at the University of Washington to be near his fiancée. After graduation in 1926, he went to work at Proctor and Gamble (P&G). They had been established in 1837 by a candle maker and soap maker. Making soap was laborious, until Mills showed up. Mills devised a way to cut the time from several days to just a couple hours. He created a process to continuously superheat liquid soap that allowed the goo to be sprayed through an extruder giving us 99.4% pure Ivory soap. Inexpensive bars of soap were great. Mills changed the processing for Duncan Hines cake mixes and the results were smoother cakes and the brand escalating in sales. He figured out a way to keep the oil from separating in the peanut butter giving choosy mothers smoother Jif. Really great products, every one of them. But there’s more. In 1956 P&G acquired a paper pulp plant. They asked Mills for suggestions. He was, by that time, a grandfather. He hated changing diapers. He began working on a way to use the clean, absorbable paper pulp and solve the diaper dilemma. He invented the disposable diaper. Pampers were introduced in 1961 after Alfred Goldman came up with the name. The early diapers were more cumbersome and they have been redesigned several times over the years. They are now thinner, more absorbable, less leaky, and easier to get on and off. The diaper business is a $3 billion a year venture. There is, of course, some debate over the product. Environmentalists point to the 3.4 million tons of waste being tossed into landfills each year. It takes 80,000 pounds of plastic and 200,000 trees to produce the 27.4 billion diapers used yearly. Users of the convenience product point out how much less water and soap they are using because they aren’t laundering the 6,000 diapers each baby wears (on average) before being potty trained. Pampers remains one of the 24 billion dollar brands (sales reach at least one billion dollar in a year) marketed by P&G. Ragnar, the Viking – In 845, Ragnar sacked Paris. March 28, 1979: At precisely 4:00 AM the water pump in the nuclear reactor cooling system at Three Mile Island, Tower 2, failed resulting in a partial nuclear meltdown. The nuclear power plant was built on an artificial island [Three Mile Island] in the Susquehanna River near Harrisburg, Pennsylvania. The plant was built as twin pressurized water reactors with the towers named TMI-1 and TMI-2. The meltdown occurred in TMI-2. TMI-1 came online April 19, 1974 and is licensed to operate until the same date in 2014. TMI-2 came online in December 1978 and operated only about 90 days. Loss of coolant led to the meltdown and is considered the worst nuclear accident in the US. At the time, it was the worst in the world but the Chernobyl accident in 1986 proved far more devastating. Three Mile Island, while causing no deaths or even injuries, was still catastrophic. It took five days and many government, business, and safety agencies to determine that the residents in the surrounding areas were not required to make a full evacuation. Because of this accident, public opinion concerning nuclear energy dropped from a 70% approval rating to a 50% rating. Cleanup began in August of 1979 and continued through December 1993 at a cost of $975 million. The end result was that TMI-2 was closed forever. When the cooling pumps failed to work, heat built up in the reactor with an increase in steam buildup as well. Increased pressure opened a safety valve that should have released pressure and then closed, but instead, remained open. About 80 minutes after the initial problem, the cooling pumps shut down completely. After 130 minutes of elapsed time, the top of the reactor core was exposed and the intense heat damaged the nuclear fuel rods. Another 35 minutes elapsed before the radiation alarms were activated. Even though approximately one-half of the fuel melted, the reactor vessel contained the damaged fuel. President Carter and the Pennsylvania House of Representatives called for a full investigation. Human error, while not responsible, was a contributory factor and it was found that dials and gauges could have been better and more safely designed. Palm Sunday tornado – In 1920, a series of tornadoes broke out. March 28, 845: The Viking, Ragnar Lodbrok, sails up the Seine and sacks Paris on Easter. Claiming to be a direct descendant of Odin, the chief Norse god, Ragnar like to plan the odds in his favor. Raiding Christian cities on holy days meant that most of the soldiers would be in church. Ragnar spent most of his life as a pirate and raider, but the vastness of his exploits show him to be a military strategist as well. He had four sons and felt that he must outshine any of their future exploits so he raided farther from home. Paris was ruled by Charlemagne’s grandson, Charles II “The Bald” when Ragnar came calling. Charles paid the Dane to leave the city with the already stolen goods without causing further destruction. Ragnar departed with the spoils and an additional 7000 pounds of silver. He did not leave France however, and kept attacking up the coast. Ragnar moved over to England in 865 and attacked Northumbria where he was met by King Aelle II who defeated the Dane and cast him into a pit of venomous snakes. Ragnar’s sons avenged their father’s death by capturing Aelle and killed him by the custom of Rista Blodörn. This nasty little piece of work is translated as “blood eagle” and consists of the ribs being cut from the spine, pulled away and broken, so they look like the wings of an eagle. Then the lungs are ripped out of the body. For added measure, salt is sprinkled over the wounds. The death of Aelle may be legendary rather than fact, however it is true that the Vikings came after Ragnar’s defeat and eventually captured, conquered, and settled the area. Also on this day, in 1920 it was Palm Sunday and 38 significant tornadoes ranged across the US.